I saw these all the time, so I thought I would try them. 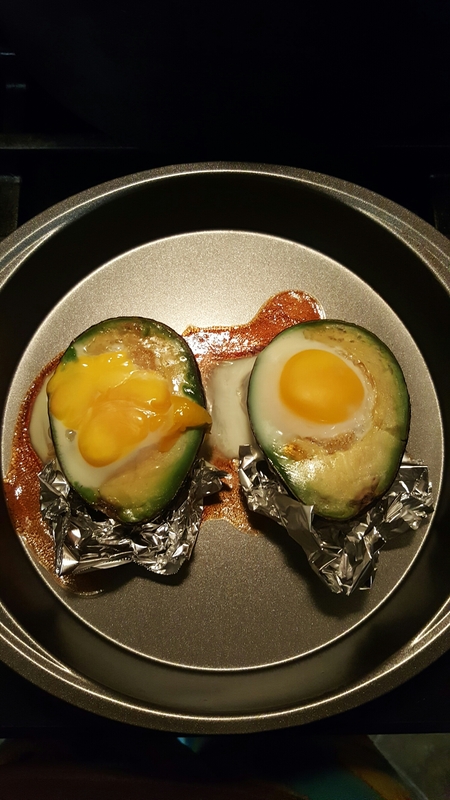 I put an avocado in foil, to prop it up and dropped an egg into it. I baked it and here is what I got. Maybe try a cupcake tin. 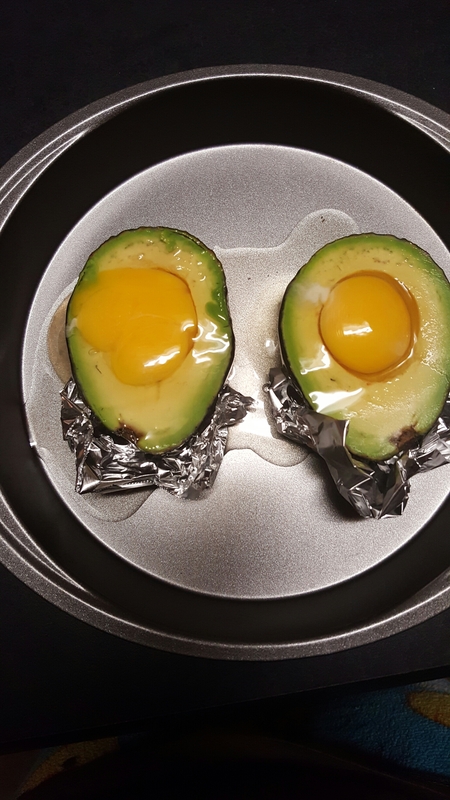 It will hold the avocado better than just foil. Make sure the egg is proportionate to the hole. I didn’t dig anything out of the avocado and used a large egg…not wise. Dig the hole deeper and use a fair sized egg. If you try it, it shouldn’t be too bad for your IBS. That is if you have no problems with eggs. I know they can cause problems for some people with IBS-C. Also, the avocado tastes a tad like a donut…so…WIN! Even if you fail, you have that!